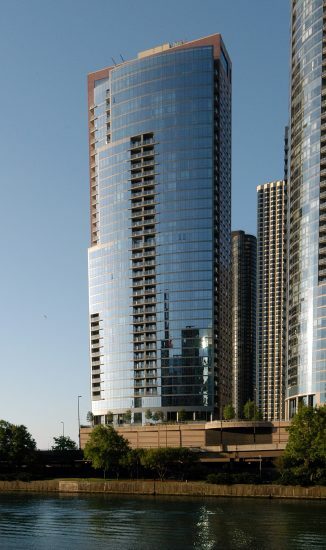 The Chandler is the third condominium tower that was completed in Lakeshore East. Comprised of 304 luxury condominium residences in 35 stories with an additional 5 levels of parking, the project was completed in 2007 and achieved a record sales pace. Luxury living draped in striking glass, steel and gently curving floor to ceiling glass walls, the Chandler includes a signature Shore Club featuring a media room, private party room, fitness facility, concierge service, an indoor rooftop pool with two landscaped decks. Architecture: Loewenberg Architects/ DeStefano + Partners, Inc.